Thought we’d just end this months blogging with a few pictures of Mara using her Christmas goodies. Mara loves her aquadoodle. The best part about it is that pen you see her using is just filled with water so it really causes no mess. Parents must be inventing the toys these days, got to love it! 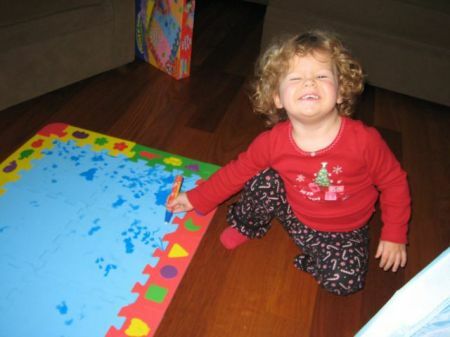 She’s very big on any sort of coloring, doodling or fingerpainting, well anything creative actually. She also has this new thing where if you ask her to show you her teeth we get this big cheesy grin. We just love it! Check her out! She doesn’t know how to pedal yet but she’s working on it. 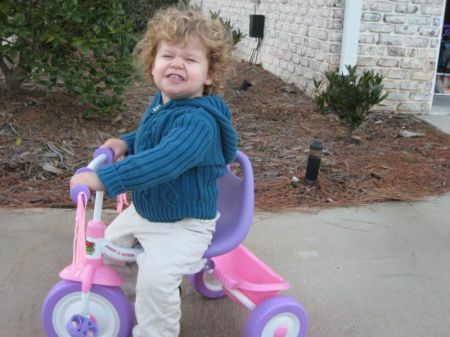 Thanks Grandma Evans for the tricycle. 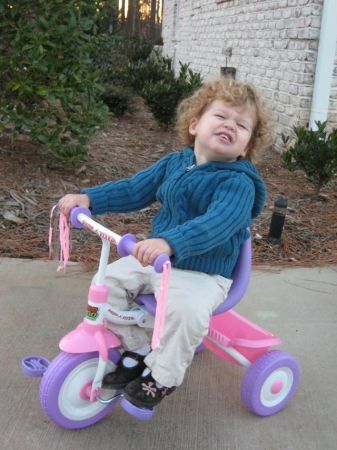 She can even say the word tricycle quit well. Grace got an aqua-doddle too…the best invention yet!! No more messes. Although Grace did watch me pour water in the pen and she found a water bottle and dumped it on the whole pad…..uuuggghh! Happy New Year! 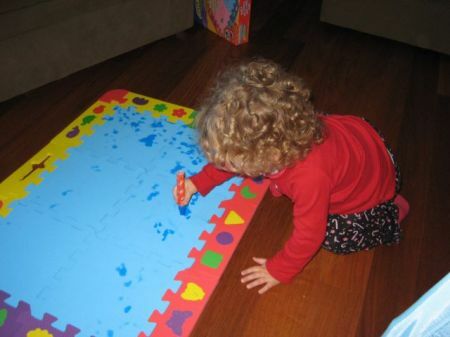 Sorry to hear about the mishaps using the aquadoodle. Happy New Year!